No person or legal entity shall engage in any of the following businesses, trades, professions, occupations or privileges without first having obtained a license: arcade, bakery, billiard hall, bowling alley, bulk food establishment, cafeteria, carnival circus, drive-in theatre, electrician, exhibition, retail food sales establishment, food service establishment, food vending machines and commissaries, gasoline station, grocery store, meat market, peddler, pool room, poultry market, restaurant, rubbish collector, shows, soda fountain, solicitor, taxicab, taxicab driver, theater, trailer coach park, transient merchant. Businesses are annually licensed by the City of Marysville. Receiving a license does not constitute zoning or any other approval of use; nor does the City endorse the business upon license issuance. 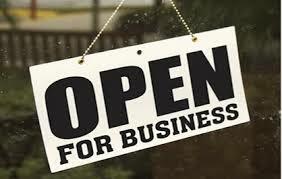 Click here for Business License Rates. Click here for a Business License Application or a Peddler-Solicitor Application.